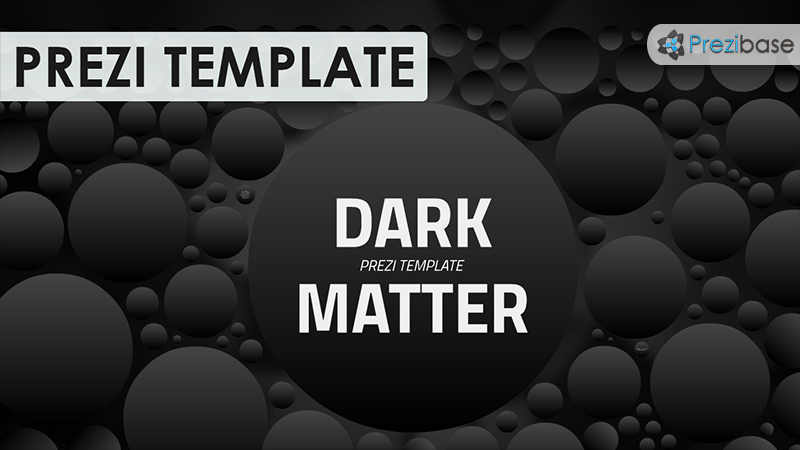 Prezi Presentation Template with a dark and mystique theme. Black gradient circles on a blurred background that creates an interesting 3D effect. Zoom anywhere and add your own content. A good template for presenting a minimal amount of text and more numbers or symbols. Change the colors of the circles and add your own background image. Present about dark matter, science, space, astronomy, the big bang, molecules, atoms. This entry was posted in Best Prezi presentation templates and tagged 3d, art, astronomy, atoms, bio, biology, black, cell, cells, chemical, chemistry, cimple, circles, dark, dark matter, matter, molecules, physics, prezi template, prezi templates, round, science, simple, space, the big bang, viral, viral marketing, virus.